Resumes are almost unheard of in the tech world. The only thing that matters are links–links to projects that you have previously worked on and explanations of what you did. How do you make sure that a future employer or client has all the relevant links? You’ve got to make an online portfolio. Alright, so you know you need an online portfolio, but what should you put in it? The key to a good online portfolio is to make it short and to the point. It should clearly list your skills and showcase a little bit of your personality, but most importantly, it has to show off your work. First, you must introduce yourself. Imagine that when someone visits your website you are actually meeting them in person. You want to make a great first impression, so what might you say? You want to tell them your name, who you are, and just enough about yourself to get them intrigued. For example: Hi, My name is Kate McGee. I am a graphic designer in NYC who loves to create beautifully organized websites. Second, tell us about yourself. Make it personal and fun, but keep it short. Stephen Covey says that a key habit of highly effective people is that they can find a commonality with everyone they meet. Since websites are a one-way conversation, this can be hard–but not impossible!–to accomplish. I suggest that you share something about yourself that makes you relatable (and it doesn’t have to be work related). Third, tell us about your skills and the type of work you LIKE to do. Start with a list of your fantastic skills and then make sure to call out the areas you want more experience in. 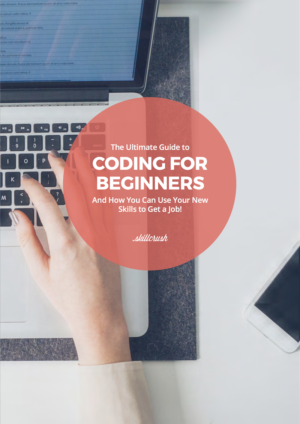 Are you a graphic designer who wants to take on more coding projects? Make sure that you say you like to code. Fourth, show us the goods! Show off your work. Describe the role you played in the project and make sure to provide links to the live project if they are available. Lastly, tell us where else we can find you and how we can be in touch. Do you have a Twitter / Dribbble / LinkedIn / Email / Blog / Instagram? Share it! And that’s it! If all else fails, keep it simple. It takes a user only take a few seconds to judge your website—and by extension you—so your site should quickly and directly communicate who you are, why you are awesome, and how to be in touch. Oh, and absolutely no Flash. Ever. What are your favorite portfolios? Share them in the comments! 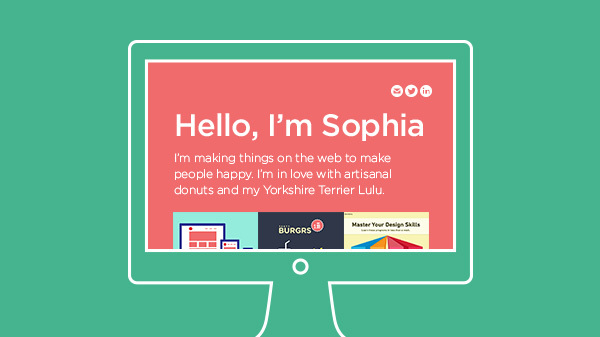 Ready to build your own online portfolio? Start from the beginning and enroll in our 2-week “Build Your Online Portfolio” class!